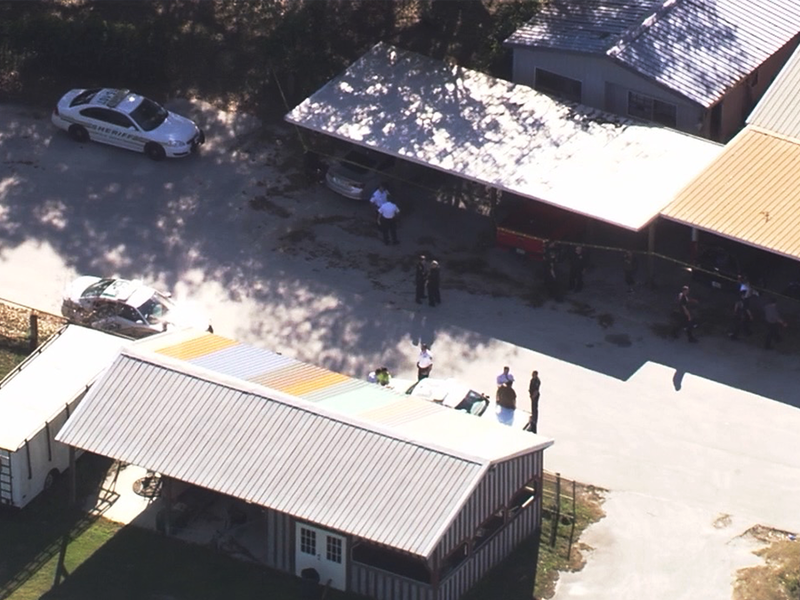 Hillsborough County Sheriff's deputies are investigating a Monday shooting inside a Central Florida business. When they arrived, they found the owner of the business, Richard Bliss, dead from a gunshot wound, along with two additional men injured from gunshot wounds. Deputies said the business is located on a tract of land that houses a private home, small corporate offices, several barn structures and one or more rental housing units. Sometime before the Monday incident, the two men entered the office to speak with Bliss. One of the men was living on the property as a tenant and had an ongoing dispute with Bliss that involved him being asked to vacate the premises several times in the recent past, Colonel Donna Lusczynski explained in a Monday press conference. Sometime during the discussion in the office between the three men, Bliss shot the other two with a gun. Deputies said a relative of the two men who were injured, had been waiting outside the office and heard the shots. The family member entered the office and subsequently shot Bliss. Lusczynski says that Bliss, 49, died inside the office. Investigators waited late into the night for a search warrant to enter the business and collect evidence at the crime scene. The other two people, who have not been identified by authorities at this time, were transported to the hospital. One is reportedly in critical condition and the other is stable. The relative who shot Bliss is reportedly cooperating with authorities. Deputies are investigating whether or not criminal charges will follow. According to online records, Bliss served time in prison for aggravated assault with a deadly weapon. Bliss also has numerous arrests in Hillsborough County for crimes that include multiple arrests for domestic violence, battery, and assault. The Polk County Sheriff's Office also responded to the scene because the location of Bliss Enterprises straddles the county line. Bliss Enterprises is a family owned construction company that has been building barns since 1982.